What do you wish to be? Whose voice is in my head, so fully formed? Lillian Allen has returned to the stage with full vigor in 2012, launching her new reggae dub poetry/spoken word album Anxiety. 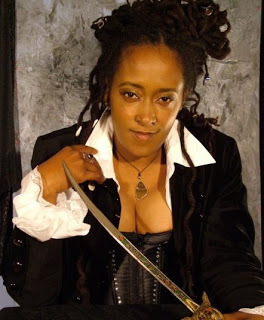 Allen, who grew up in Jamaica, immigrated to North America as a teenager, is internationally recognized as a godmother of dub lyricism, rap, and spoken word poetry. Her debut book of poetry, Rhythm An' Hardtimes became a Canadian best seller, blazing new trails for poetic expression and opened up the form. Her other collections, Women Do This Everyday and Psychic Unrest are studied across the educational spectrum. Her literary work for young people includes three books: Why Me, If You See Truth, and Nothing But a Hero. the common route home, faint footfalls behind. its hand pressing tight, muffling every sound. Jennifer Perrine's first collection of poems, The Body Is No Machine (New Issues), won the 2008 Devil's Kitchen Reading Award in Poetry. Her second book, In the Human Zoo(University of Utah Press), received the 2010 Agha Shahid Ali Poetry Prize. In 2014, she will serve as a member of the U.S. Arts and Culture Delegation to Cuba. Perrine teaches in the English department and directs the Women's and Gender Studies program at Drake University. Please feel free to forward Split This Rock Poem of the Weekwidely. We just ask you to include all of the information in this email, including this request. Thanks! From After This We Go Dark, Sibling Rivalry Press, 2013. Theresa Davis has been a member of the ArtsInterface, Co-founder of Art Amok Slam Team, Women of the World Slam Champion (2011), poet in residence as the 2012 McEver Chair of Georgia Tech University, Emerging Artist Grant Recipient, co-producer of the staged poetry performance with Jon Goode "Wish You Were Here", and was honored by the City of Atlanta by declaring May 22 "Theresa Davis Day." In July 2012, Theresa released her Chapbook Simon Says, poems about teaching and anti-bullying themes. This project, in partnership with the City of Atlanta's Bureau of Cultural Affairs, is a call to action to bring about an end to bully culture in our children's classrooms. In 2013, Theresa released her first published collection of poems entitled After This We Go Dark with Sibling Rivalry Press. As we prepare to announce the line-up for the next Split This Rock Poetry Festival, we wanted to share with the community our process for selecting featured poets. Featured poets are chosen by a Curatorial Committee made up of members of Split This Rock’s staff, board of directors, and advisory committee. The Curatorial Committee solicits recommendations from past featured poets, members of Split This Rock’s Advisory Committee, and other board members and activists within the organization and the broader poetry community. Members of the committee also read widely and attend many poetry readings and performances throughout the country. Split This Rock Poetry Festival presents approximately 15 poets on its main stage. The festival features poets who are among the most significant and artistically vibrant writing and performing today. They exhibit exemplary public citizenship, as activists, supporters of marginalized voices, and/or in a variety of other ways. We are interested in established poets, emerging poets, and mid-career poets whose work deserves greater attention. Several featured poets will be closely associated with the Washington, DC, area, in keeping with our mission to support and promote voices local to our home community. We value international perspectives and strive to include poets from outside the United States at each festival. Each festival will also present one or two poets who read at an earlier festival, to ensure continuity of the spirit of the event. We strive for a mix of poets that reflects the rich diversity of our country and its poetries: This diversity includes demographic considerations such as: race/ethnicity/language /country of origin; social/economic class; age; gender, including members of the trans community; sexual orientation; physical ability; and geography. It also includes diversity in poetic subject matter. Finally, the festival strives to present poets on the same stage who represent the stylistic diversity of American poetry today, such as: lyrical, narrative, spoken word, alternative/ experimental/avant garde, elliptical, New Formalist. Featured poets are asked to participate in the community of the festival, as panelists, workshop leaders, or youth mentors, in the spirit of collaboration and open-heartedness that we prize at Split This Rock. We are always interested in learning about poets new to us and we’re building a library of books and CDs by poets who write poetry of provocation and witness. If you would like us to know about your work, please send us a recent sample at the address below. Many thanks for your interest in Split This Rock. Please contact us with questions or concerns at info@splitthisrock.org. And save the date for the next festival: March 27-30, 2014! Ascension is Luivette Resto's second book of poetry and the best I have read in 2013. Ascension begins and ends in heartbreak, reflecting on beauty, disappointment, and the contradictions of Latino identity and modern life. Resto describes her poetry as “socio-political” – the tone varies from nostalgic to angry, drawing full pictures of love, heartbreak, anguish, joy, and wisdom. Truly a mujer con ganas, a voice of outrage without all the usual clichés of an angry woman, Resto often plays with and pokes fun at the hybridity of culture and language, mixing satire and Spanglish in a manner that is critical, endearing, and thoughtful. determined to return the next day. These verses capture the eagerness and determination of immigrants to succeed in this country, not letting setbacks, language boundaries, or lack of resources become detriments to success. Throughout Ascension Resto challenges the notion that success in America is defined by assimilation: she presents a football star from El Monte who dreams of going to college; Guadalupe, who works two jobs and supports her family; and Eun, who is called a F.O.B. by classmates and is quiet in class. Resto’s collection beautifully shows that despite setbacks and struggles, people everywhere are still striving for a better life and working hard to achieve their dreams. mixed with the smells of sweat, exploitation, and arroz con pollo. commission quotas being met, surprise engagements. Through Puerto Rican singer Marc Anthony’s romantic song “Y Hubo Alguien”, “And there was somebody,” this poem recalls the idea of America as a place where you can become someone or a “somebody”; but the material reality of these immigrant women’s lives proves otherwise. What I related to the most in this collection, however, were the poems on interpersonal relationships, family values, and personal reflections and struggles. In “Christmas Lies,” we see a mother’s struggle to explain to her child the existence of Santa Claus; in “The Pendeja Syndrome,” a women struggles to let go of her ex-boyfriend; and students organize against racism in “A Poem for the Students of UCSD.” “A Poem for Me” explores the narrator's insecurities, wishing she could play the piano and better deal with her emotions, but finding her whole imperfect self as a muse for her poetry. These poems are introspective -- they encourage us to look at our flaws and mistakes as a way to define our identity and values. Luivette Resto’s Ascension really hit home for me. Resto needs to be read as an influential and relevant writer of our time, recognized for her depth and insight. She breaks apart the myth of post-racial America and turns the critical gaze on American life, discovering unexpected truths. These powerful personal poems will inspire future Latino poets. Vileana returned to her home in California last week and graduates tomorrow from the University of California-Irvine. Here at Split This Rock we miss her already! We're so proud of her and grateful for all she gave us in her months in DC. Watch out, world! Poetry as Connection invites participants to create an original piece of work from a prompt and image that incorporates personal experiences. In this workshop we will discuss, share and receive feedback from the group followed by a discussion and tips on performance, how to put your poem in your body. 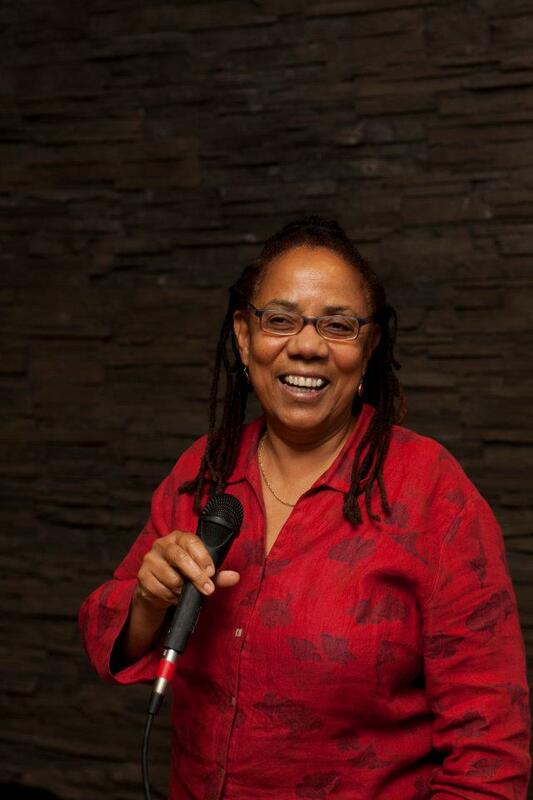 World Champion Slam Poet Theresa Davis will facilitate. Workshop fee: $25. Scholarships available. All participants must register in advance. Theresa Davis is the mother of three and was a classroom teacher for over twenty years. She reclaimed her love for poetry ten years ago after the loss of her father. Since then, she has been a member of the ArtsInterface, Co-founder of Art Amok Slam Team, Women of the World Slam Champion (2011), poet in residence as the 2012 McEver Chair of Georgia Tech University, Emerging Artist Grant Recipient, co-producer of the staged poetry performance with Jon Goode "Wish You Were Here", and was honored by the City of Atlanta with a proclamation making May 22, Theresa Davis Day. In July 2012, Theresa released her chapbook Simon Says poems about teaching and anti-bullying themes. This project, in partnership with the City of Atlanta's Bureau of Cultural Affairs, is a call to action to bring about an end to bully culture in our children's classrooms. As a contracted author, with Sibling Rivalry Press, Theresa has released her first published collection of poems entitled After This We Go Dark. the hand that had no hand in it. past and future pressed into skin's plies. From Handiwork: Poems, Slope Editions, 2012. 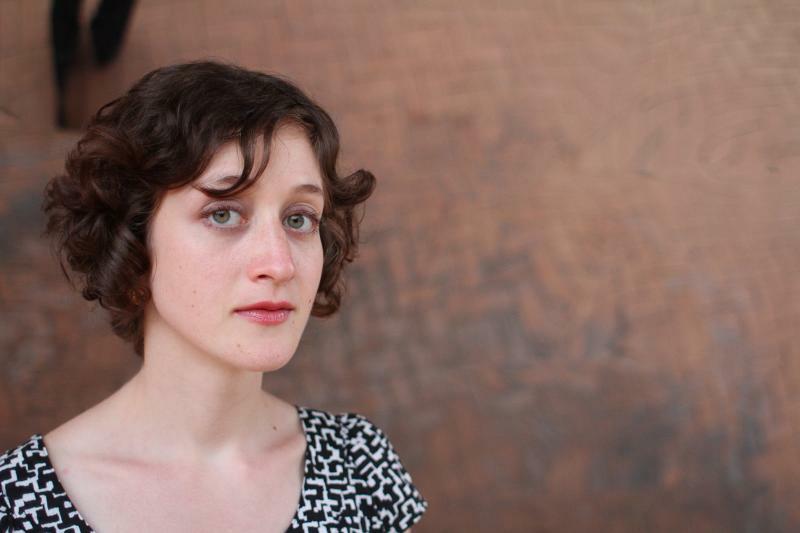 Amaranth Borsuk is the author of Handiwork (Slope Editions, 2012); Tonal Saw (The Song Cave, 2010), a chapbook; and, with programmer Brad Bouse, Between Page and Screen (Siglio Press, 2012). She has a Ph.D. in Literature and Creative Writing from the University of Southern California and recently served as Mellon Postdoctoral Fellow in the Humanities at MIT. 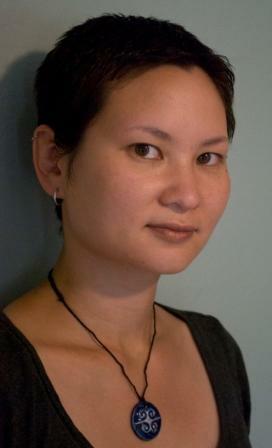 She currently teaches in the MFA in Creative Writing and Poetics at the University of Washington, Bothell. In July 2012, Theresa released her Chapbook "Simon Says" poems about teaching and anti-bullying themes. This project, in partnership with the City of Atlanta's Bureau of Cultural Affairs, is a call to action to bring about an end to bully culture in our children's classrooms. As a contracted author, with Sibling Rivalry Press, Theresa has released her first published collection of poems entitled "After This We Go Dark."